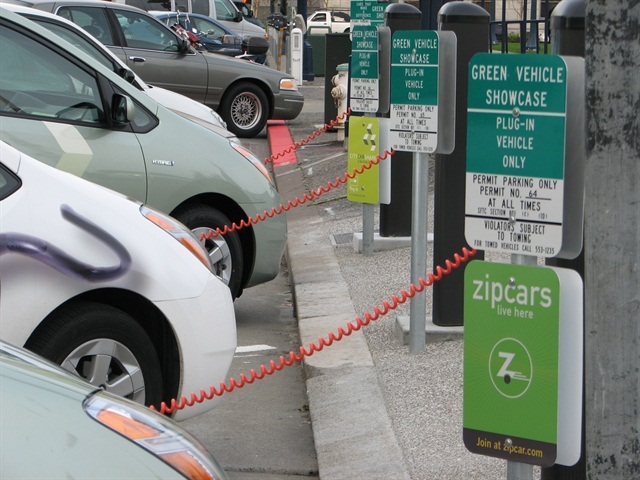 Zipcar is one of the car-sharing companies participating in the parking program. Photo via Wikipedia. Launching this summer, the San Francisco Municipal Transportation Agency (MTA) has approved a new parking program that will reserve as many as 900 street parking spaces for car-sharing vehicles, according to a report by the SF Gate. This two-year initiative is aimed to encourage car sharing in San Francisco. The MTA has picked three car-sharing companies: Zipcar, City CarShare and Getaround, according to the report. The parking program requires vehicles to be available for sharing 75% of the time. In addition, the selected car-sharing companies must charge customers by the hour, says the report. By the start of summer, 450 spaces will be available. According to the report, the parking spots will be marked with signs and paint and will be assigned to a certain car-sharing vehicle.